Healthy, shiny and silky hair is not a day dream any more. You just have to experiment with some natural and pure oils to make your own homemade hot oil treatment for hair. The amazingly useful oil mixture nourishes your hair from roots to tips. 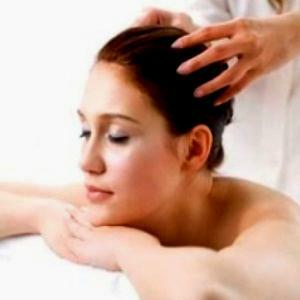 Hot Oil Treatment helps in doing away with dry, dull, weak and damaged hair. If you thoroughly examine the ingredients, all of them posses useful properties that are guarantee of healthy hair. Take a large resealable plastic bag and pour 2/3 cup of sunflower oil or cold pressed olive oil into it. Add in 1 tablespoon of pure honey, and 2 teaspoons of vitamin E oil, 10 drops of lavender essential oil, 10 drops geranium essential oil and 10 drops sandalwood essential oil. Seal the resealable plastic bag properly and squeeze it for few minutes until all oils and honey incorporate well and form a thick but smooth oil mixture. Set the plastic bag aside to settle down at room temperature. In the mean time, grab a large bowl and pour some boiling water into it until fill. Gently shift the resealable plastic bag into the warm water and leave it for some time or the water is tepid. Unseal the plastic bag and carefully dispense the Hot Oil mixture into a medium dry bowl. Light stir with a fork to blend the oils. Dip your finger tips into the warm oil mixture and start applying it from the roots of your hair to the growing ends. Now gently massage your scalp for 10 to 12 minutes in a circular motion until the useful oil’s mixture penetrates into the roots of your hair. Tie up your hair and cover your head with plastic shower cap. Now wrap the cap with a warm towel or piece of cloth and secure it with safety pin. Leave it for at least 15 to 20 minutes. Rinse off the oil mixture with warm water and then wash it with shampoo and conditioner as usual. Wipe your hair dry and enjoy smooth hair.